I have enjoyed finishing up some mermaid tail blankets over the past few days. I worked with the customers to pick the perfect color ways for their little mermaids and each one came out beautifully. I loved working with this bright and fruity color way. From the bubblegum pink, light green, golden yellow and soft blue, this yarn just worked up so beautifully. It is so soft and cozy that it is sure to be your child’s favorite blanket. The shades of periwinkle blue, orange, magenta, and green (pictured above) turned out to be such a gorgeous color way to work with. I am excited about all the possibilities when working up these fun blankets for the little mermaids in your life. “I love my Ariel blanket, Nonny!”. If that isn’t enough to melt your hard I don’t know what will. These blankets work great for the carseat, the couch or use it in the stroller for your little ones Halloween costume. Need a shell top? Contact me and we can make that happen. 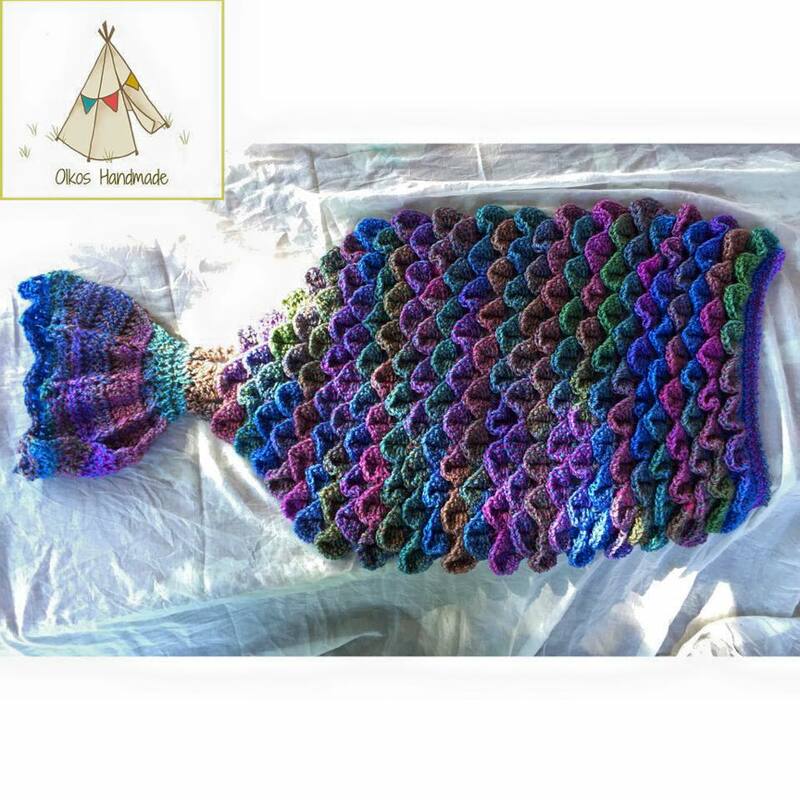 I have a few slots open for the mermaid tail blankets. These slots fill up quickly and are 100% customizable. I do not list them in the shop so please contact me if you have questions. 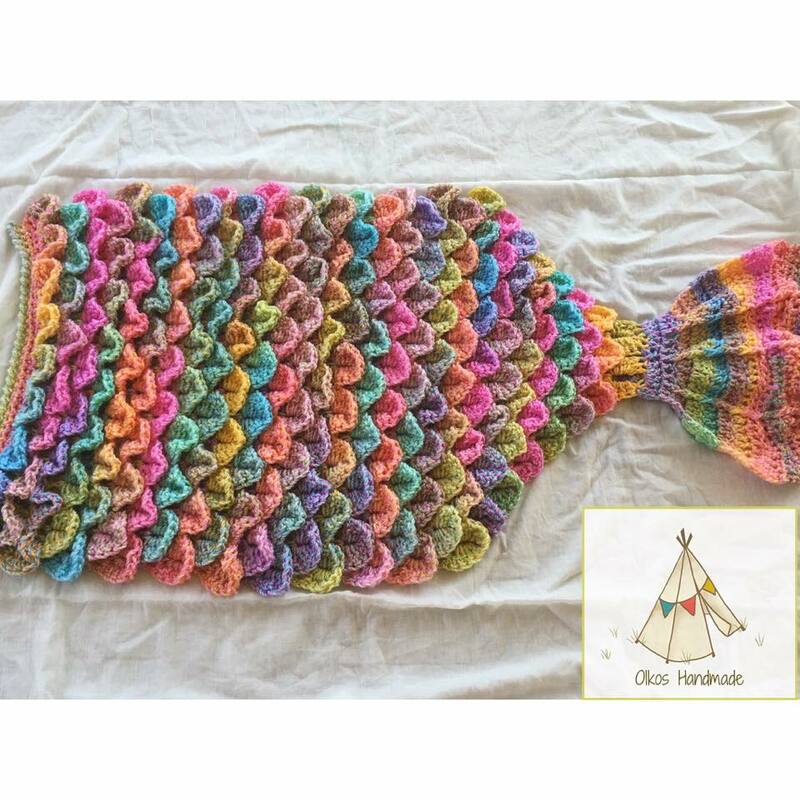 I would love to work with you to make a beautiful blanket for your little one. Christmas is right around the corner and this would make a beautiful and unique gift for a child of any age. Turn around time is 2-3 weeks.